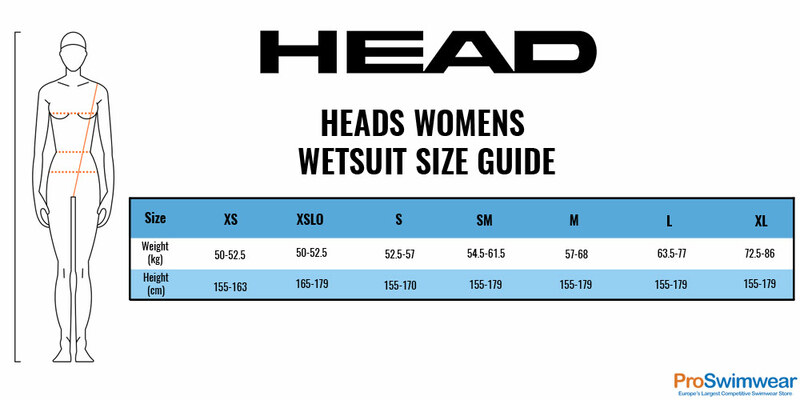 The women's Head Explorer Wetsuit is a good starter Tri-wetsuit, for athletes who want to take part in their first Triathlon. The cut is designed for specifically for swimming, with no stitching in the critical areas generally subject to irritation and rubbing. The different thickness makes getting in and out of the wetsuit and movement easier, particularly at the wrists and ankles area. The zip with smooth flap ensures greater comfort and insulation.